Kudos Ideas is our latest innovation. Introducing an ideation space where peers can raise, review and vote on ideas across the workplace – whether for management, projects, marketing, human resources or even team building activities. 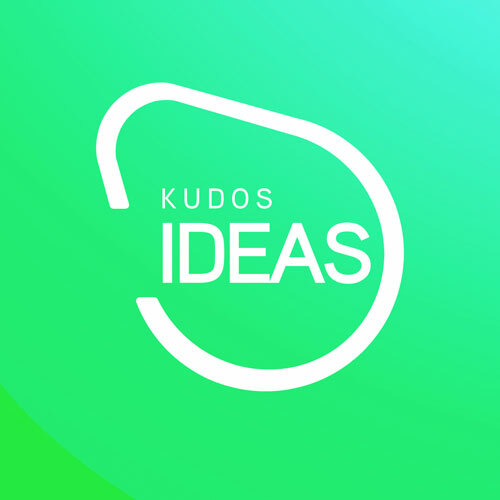 Kudos Ideas enables crowdsourced idea generation, idea promotion, expert review and selection, as well as the important implementation of the best ideas. Designed to provide both Strategic Idea Spaces and Idea Sprints, Kudos Ideas empowers all your stakeholders to promote their ideas and to have your community vote and participate in reviewing those innovations. Once the best ideas are selected the expert review process enables the ideas to be validated and supports sponsor implementation and execution of the ideas. Who HAS THE BEST IDEAS? Everyone knows that management isn't always the best place for new ideas. However management can empower their teams by creating guided innovation with Strategic IdeaSpaces. By participating in the innovation process your people are able to bring forward ideas that can make a real difference to strategic goals. Engaging them in grassroots ideation can foster a culture of innovation and engagement resulting in better outcomes and successful strategic initiatives. Kudos Ideas empowers colleagues to think proactively and creatively about their own workflow. If your organisation values creative thinking and empowering staff to proactively and creatively solve productivity issues, Kudos Ideas is the missing link.